*Edited because my frozen chubby fingers couldn’t spell our own name. I blame it on the 17 degree weather. Christmas IS my favorite time of year. I live for the beauty and splendor of the holiday season. As Aspen is getting older, I’m establishing our own Christmas traditions. One’s that I hope fill her dreams at night. 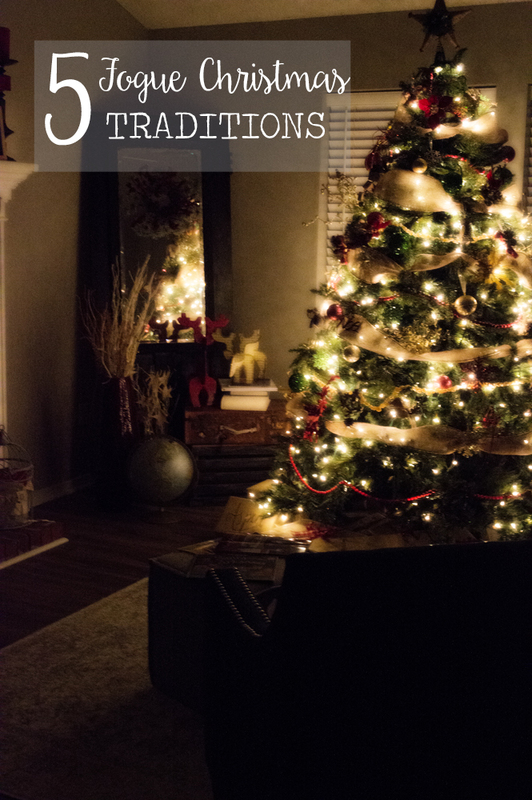 So, I could give you a list of random holiday traditions, but I’d rather share with you the 5 things we do as a family for the Christmas Season. Hall out the Holly – It all starts with some great Christmas music while we decorate the trees. 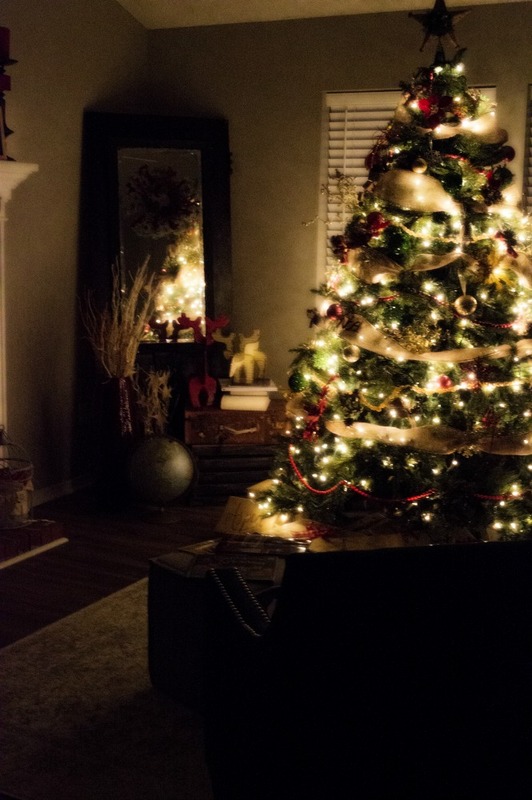 I may or may not be one of those who starts playing Christmas music the minute Halloween is over… To check out our Holly-day décor, visit this post. Reading Christmas Stories by Christmas Light – I love sitting in front of our tree and reading Christmas stories to Aspen. Normally this consists of me being in my utopia while A runs around admiring all the lights around the tree and the ornaments. Her current favorite book is Santa Comes To Arkansas. At least she gives me 3/4 of her attention when we read this one. 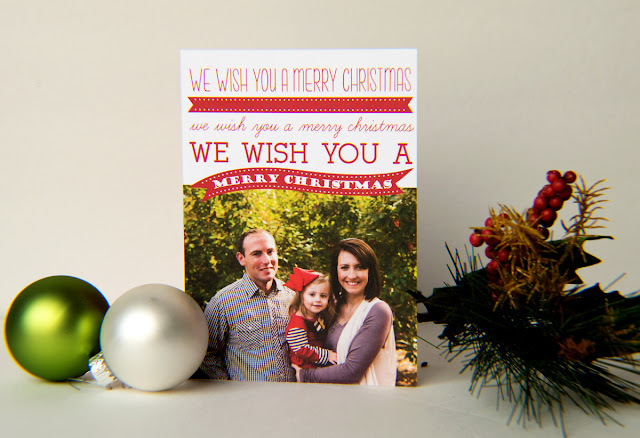 Mailing Christmas Cards – I’m a stickler for sending old fashioned Christmas Cards. I love sending those words of cheer to my friends and family. But I really enjoy going to my mail box each day to see what cheer we get in return. It’s a dying tradition that I’m trying my hardest to hold on to. 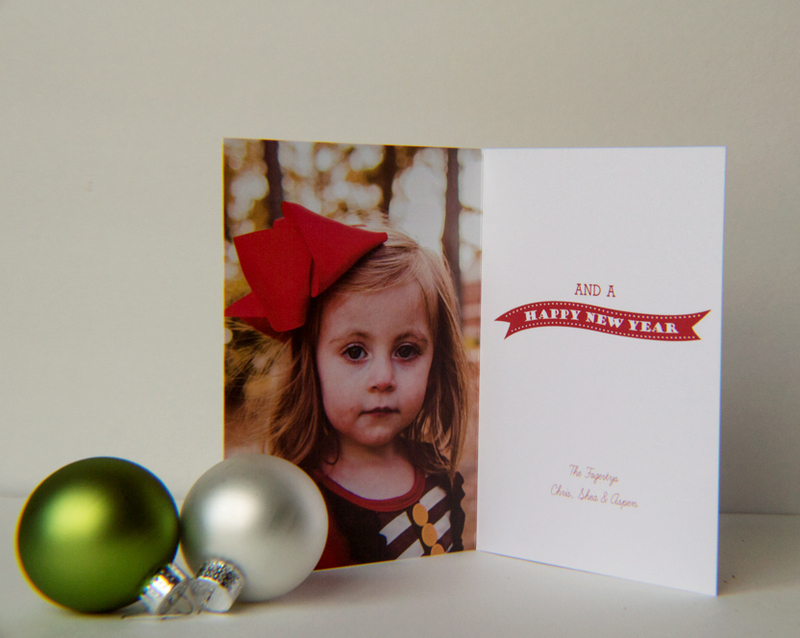 We purchased our cards this year through Picaboo. I love that it syncs with your Google Photos. 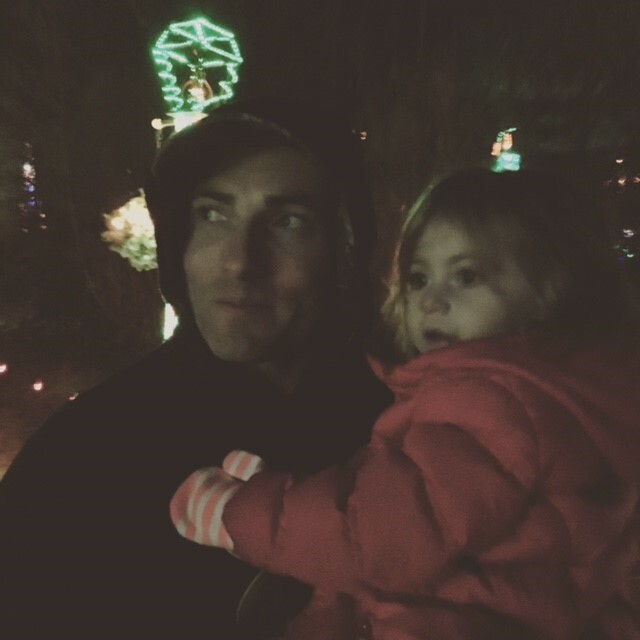 Checking Out the Neighborhood Christmas Lights – My childhood Christmas memories always included drives around the neighborhood to check out all the fun light displays. We try to find somewhere fun and interesting to go to each year such as a Garden Christmas display or a fun walk through exhibit. It may be cold and it may be expensive, but those memories…. We toured our local Garvan Woodland Gardens in Hot Springs, AR recently. 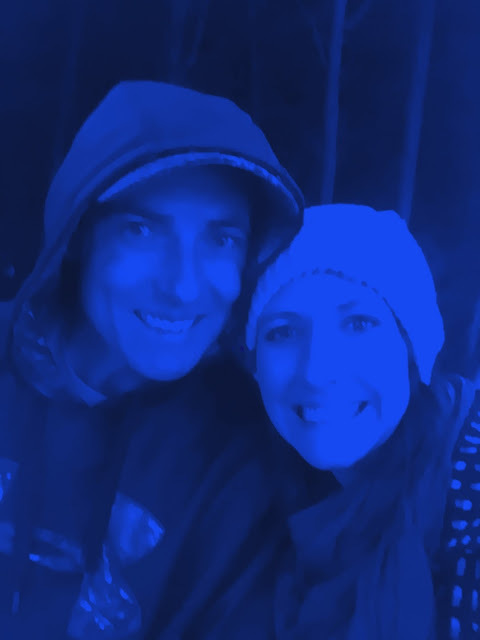 Aspen loved the lights, it made mom and dad quite blue. 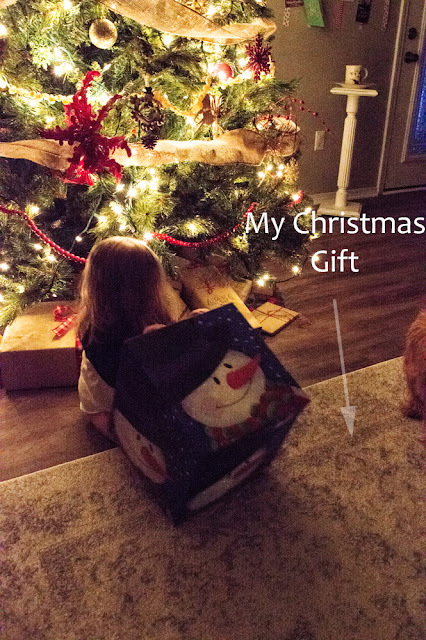 Unwrapping a Christmas Eve Box – We started the Christmas eve box last year for Aspen’s first Christmas. It’s a fun way to kick off the day with some quiet family time in some fun new pjs. 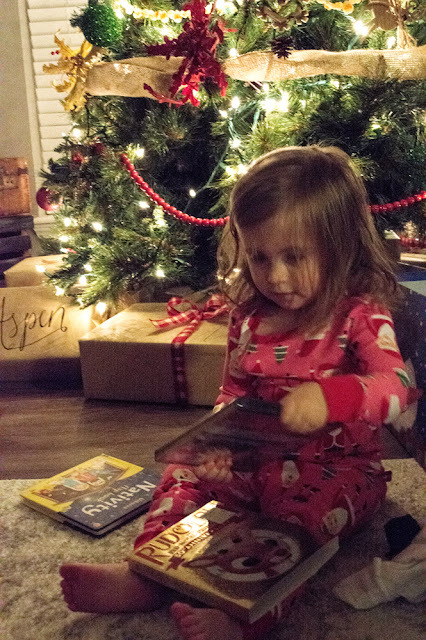 This years boxed featured a Nativity book, Rudolph the Red-Nosed Reindeer and Santa PJs. Since our Christmas Eve is pretty jam packed, we do our fun box the weekend before. Unwrapping Christmas gifts with Cousin It! Check out my Christmas gift. 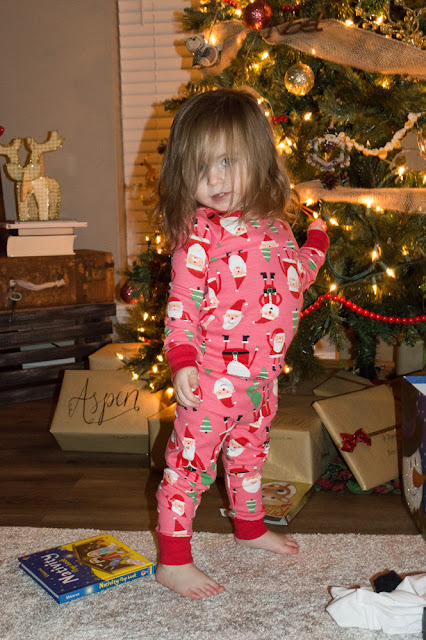 She needed to model her new Santa PJs. 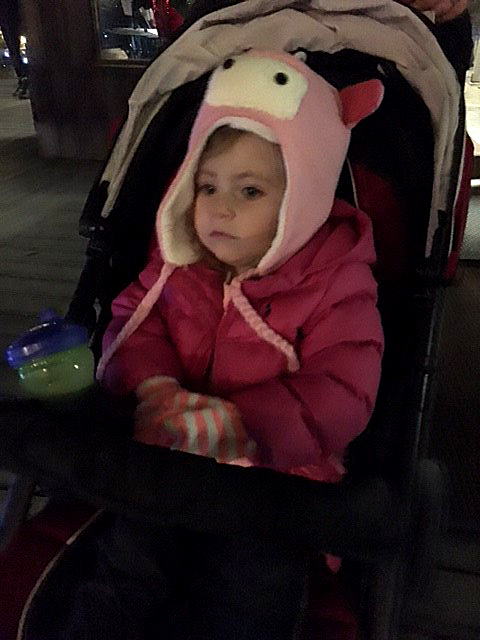 Her excitement for all things Santa Claus may rival Buddy the Elf this year! 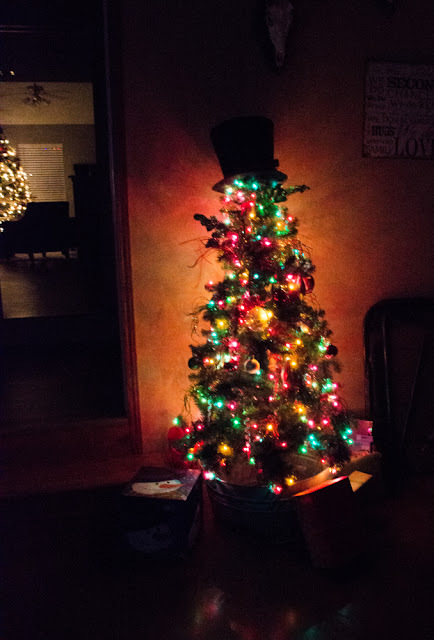 Thanks for joining in on our fun family Christmas Traditions? What are some of your Christmas traditions?